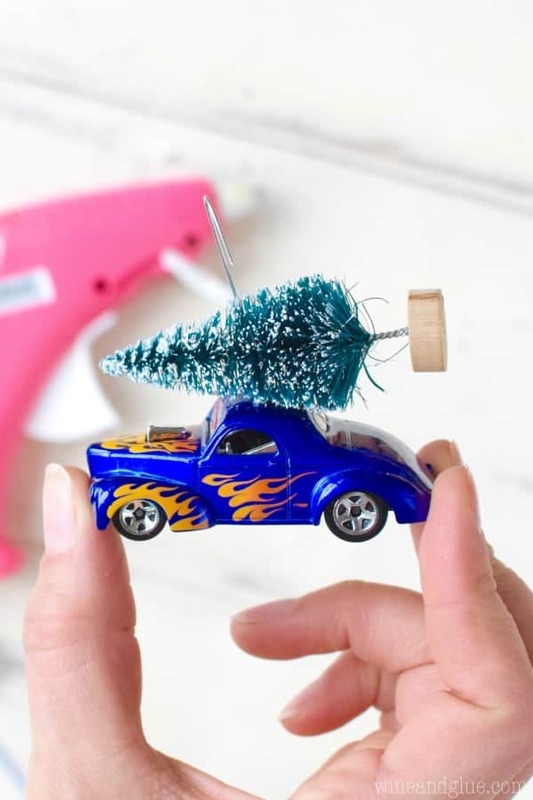 These Matchbox Car Ornaments are crazy simple to make and so cute! Perfect for gifting or keeping! Hey guys! Happy Sunday! I have so many holiday themed posts that I’m coming to you on an off day to make sure I squeeze them all in in time! So I saw these super cute little trees in the Target Dollar Spot last month . . . . which, honestly? I need to just not go through there because there are sooooooo many things that I don’t need there that just happen to jump into my cart when I walk through. Oops! So these come in a cute little six pack so you can make a bunch at once and give them away or keep them for yourself! 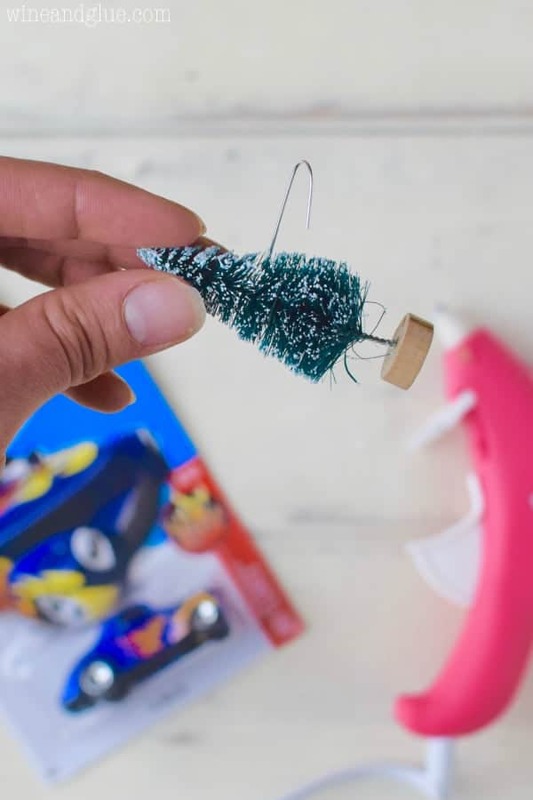 Start by adding a little glue to the bottom of the hook. 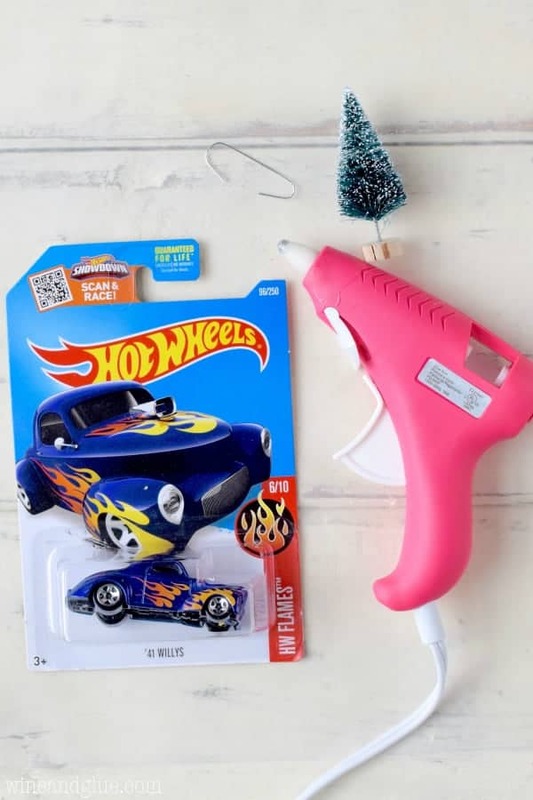 Then pull the ornament hook into the tree. 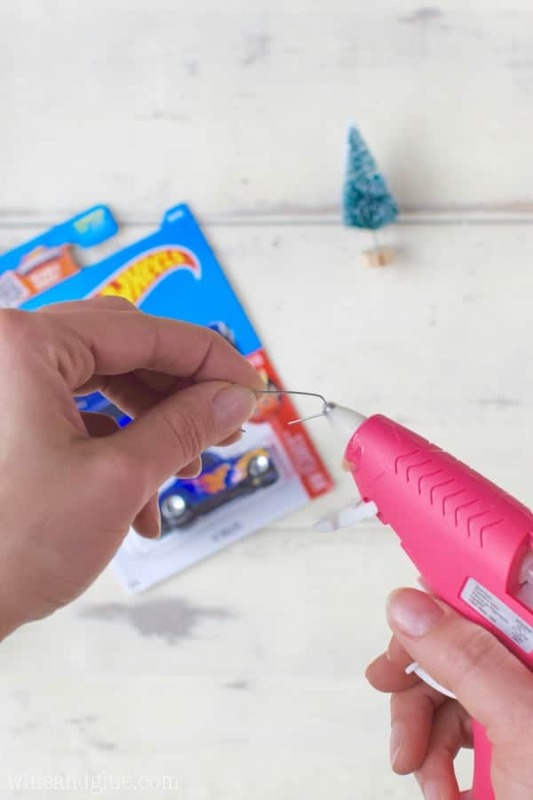 The glue will dry really quickly, so move fast and hold it there for a second. 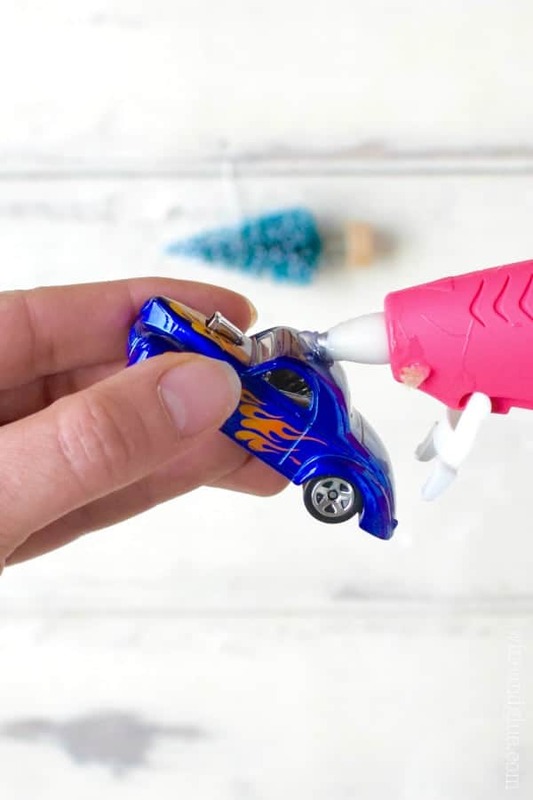 Now add some glue to the top of your car. Then pop the hooked tree on top! And you are done! How simple is that?? The trees are $3 for a pack of six and the cars are about a dollar each. Let’s pretend that the hooks cost nothing because I think you get about a million for a $1. So that’s only about $1.50 an ornament! That’s really not bad! One of the cutest ideas I have seen this year. These are adorable! 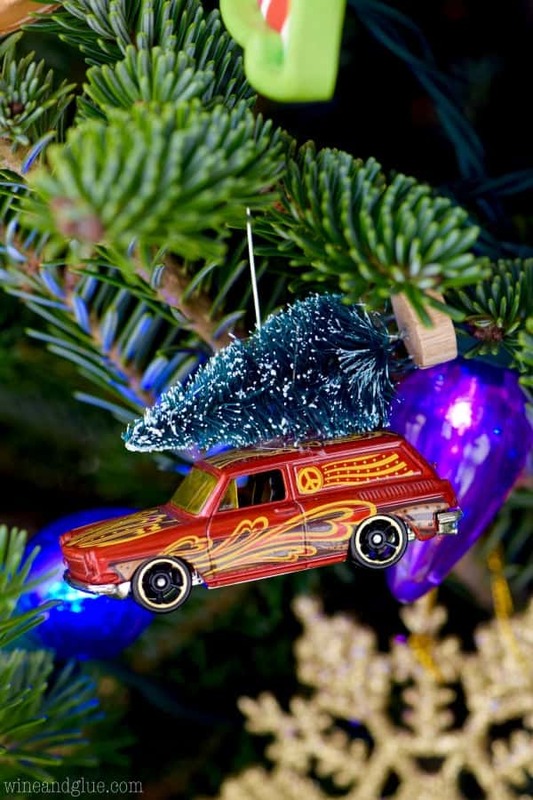 Too bad we’ve already committed to a different ornament craft this year….saving this one for next year!